Palazzo Castri 1874 – Renco S.p.A. CLIENT: REAL ESTATE MANAGEMENT S.R.L. 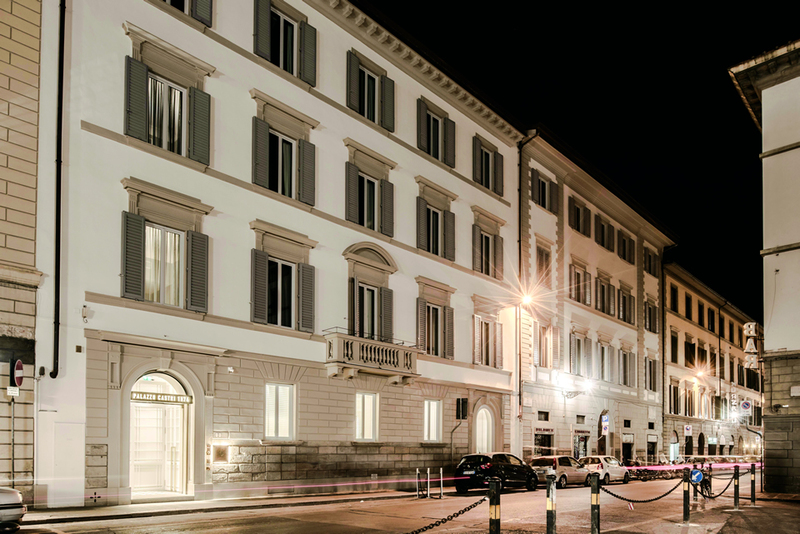 Palazzo Castri, The building, built in the first half of XIX Century and completely refurbished by Renco in 2014 / 2015, is located in the heart of Florence. Palazzo Castri is now a Four Stars Superior Hotel, with 48 Deluxe rooms, 6 Junior Suites, and 3 Suites, a Spa Area with fitness center. The hotel includes a beautiful garden with an internal and external pool and a small conference facility.